Home News We are coming to Houston! We are coming to Houston! People from all over the world have enjoyed and become fans of Sharetea. 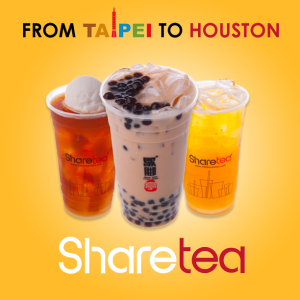 We are proud to announce that Sharetea is coming to Houston! We welcome you to share the world, share happiness, and SHARE TEA! Stay tuned–we will be announcing our location soon! Follow us on Facebook, Instagram, Twitter, and Google+! © Copyright 2018 Sharetea, Paragon Teas LLC, All rights reserved.